I believe good things come to people who selflessly serve others through hard work. I've worked extremely hard in the community for causes I care about my entire life. I've volunteered more than 2,000 hours, and I'm very honored to have been recognized for my work. My greatest honor of my life so far was to have been selected, at age 14, by Susan G. Komen MN to be a keynote speaker on volunteerism in front of 19,000 teens at We Day MN. I was also honored to have been one of Susan G. Komen MN's Pink Honor Roll members for the past 10 years! I've earned Gold (top-level) Presidential Awards, which are awarded for volunteering 250+ hours in a calendar year. I lettered in community service at my high school. 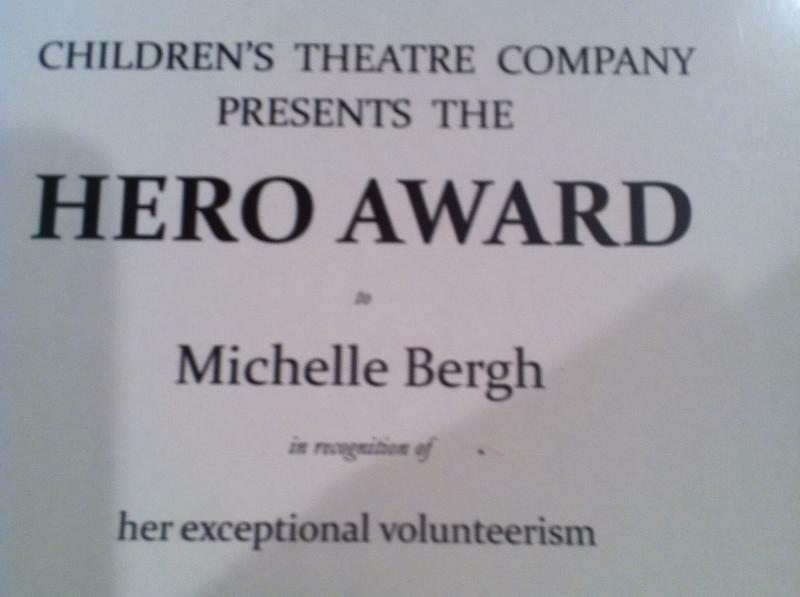 I was the recipient of the "Hero" Award from the Minneapolis Children's Theatre, given to one child actor who made the greatest community service contributions in their lifetime. I received a Kohl's Kid's Who Care Award, and I had the most volunteer hours of anyone in my high school Key Club. I received a Mayor's Proclamation for Volunteer Service in my community, and was recognized for my volunteer service at Community Thread. In 2015, I was recognized at our community food shelf gala as being one of their four top volunteers that year. I was also recognized by Polar Bears International in the past for my work with them. I was honored to have been featured in Associated Press newspapers worldwide and on WCCO-TV for my work with Polar Bears International, as well as in the Mpls/St. Paul Magazine and twice in the Mpls. Star Tribune newspaper for my work with Komen. I was also interviewed on WCCO-TV for my work with Komen and We Day and was featured on a Kare-11 TV PSA for Komen. Because of my strong volunteer work, I was selected by my AP Human Geography teacher to be one of the students from my school to attend We Day in 2014 (the year after I was selected as a keynote speaker at the event), as well as the Nobel Peace Prize Forum. I was also selected by my high school administration to give presentations at School Board and City Council meetings about "Service Learning" in the schools. I served for many years in leadership positions in school Student Council, including as a President, Treasurer and a Senator. One of the things I promoted was volunteer service, and I was honored to be voted as the student who "Made Biggest Impact" by my peers. 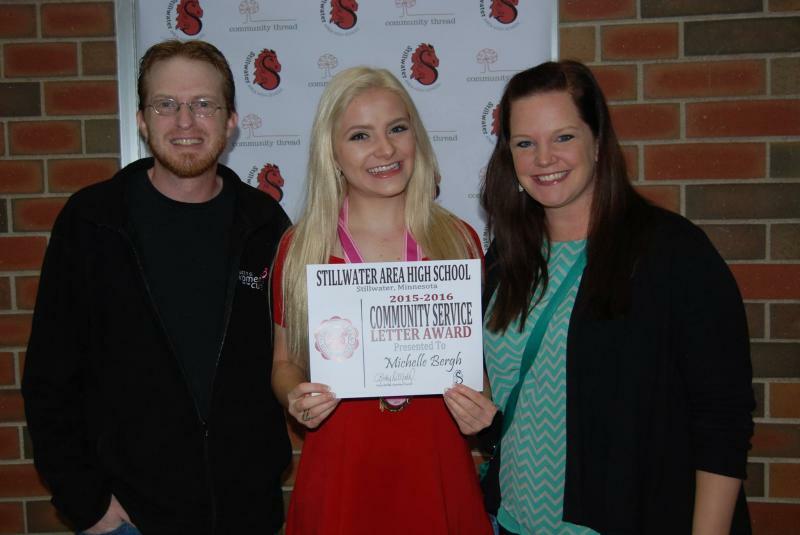 Below: I was excited that Lanny Friedman and Megan Spaulding of the Komen MN staff were able to attend the Community Service Letter Awards Ceremony at my high school even though it was EXTREMELY early in the morning and across town from their office! Below: So honored to have received the NAM NATIONAL Jr. Teen "Golden Achievement in Service" Award in 2015, given to the ONE girl nationally who did the most significant volunteer service project.